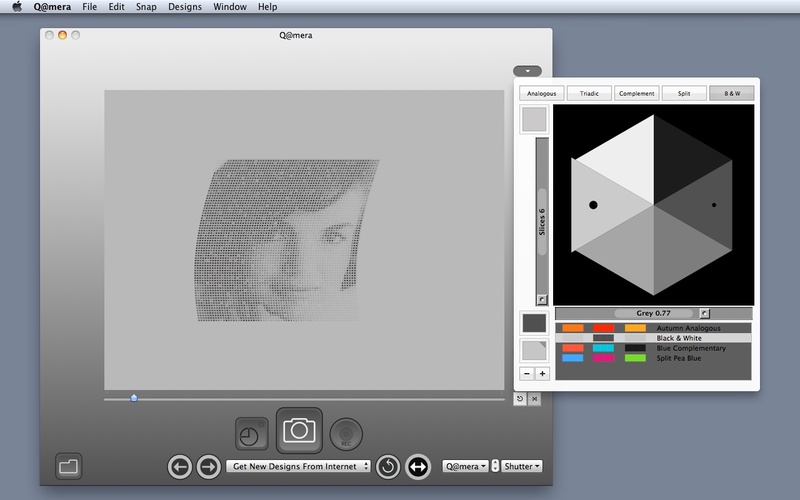 Q@mera is a free instant camera that creates lossless PNG images with alpha channel transparency. With over one bazillion built-in retro selfie filters for both still pictures and live video, Q@mera includes pop art, retro 3D, and whizzy graphic effects, including vintage camera emulation. With a paid license, Q@mera effects can be used directly when recording video uploads to YouTube and Facebook, adding dazzling motion graphics effects to your videos or Skype chats. Q@mera plays most Quartz Composer compositions. Like Photo Booth, you can shoot instant selfies. 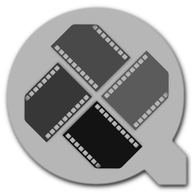 However, Q@mera shoots PNG files which include a transparent alpha channel so you can drop your photos directly into web pages and iMovie projects. Purchase any Q@mera license and your Q@mera output can be rebroadcast back into your Mac as another camera input. Q@mera 2.0.0 is the current version, released 2015/07/19. 2.0.0 Is a major new version that works with your existing serial! Too many new features to mention, see release notes in Disk Image (dmg). 1.505 includes DeveloperID (Mountain Lion) and compatibility fixes for Leopard (PowerPC 10.5.8). 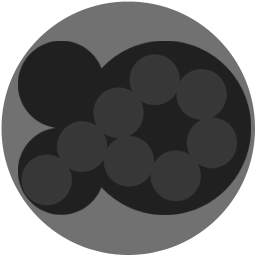 1.504 QuickLook(tm) support for Snow Leopard. 1.501 includes bug fixes for 64-bit. 1.500 includes 64-bit compatible CIQameraInput.plugin. 1.200 is more stable on Snow Leopard. 1.100 includes feature to switch between camera inputs. 1.100 includes fixes for new iMacs and MacBooks with iSight 2G. 1.100 is much faster for effect switching. 1.009 includes bug fixes for slow client framerates. 1.008 includes bug fixes for stencil mask. 1.007 includes vintage camera shutter sounds and bug fixes. 1.006 includes new features, bug fixes and vintage camera emulation. 1.005 includes fixes for the CoreImage/Quartz Composer plug-in, iChat Theater support and other improvements. 1.002 includes many convenient new features and bug fixes. 1.001 includes minor bug fixes, improved cacheing of .QTZ files, an "reset" button. Synchronized with CamCamX 1.510 to allow Q@mera to be used as a CamCamX device input. Purchase a serial number for Q@mera now in our secure online store.